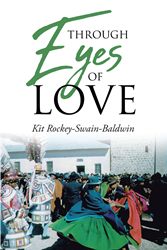 “Through Eyes of Love” from Christian Faith Publishing author Kit Rockey-Swain-Baldwin is an impassioned story of a woman’s adventures that reflect life’s grandness and fulfillment. “Through Eyes of Love”: a gripping book that contains the candid and eventful experiences of a passionate woman. “Through Eyes of Love” is the creation of published author, Kit Rockey-Swain-Baldwin, a pharmacist and graduate of Purdue University who writes about her time spent abroad. Kit Rockey-Swain-Baldwin shares, “This story relates four years in the life of an Illinois woman recently graduated from Purdue University pharmacy school. She leaves her home to fly to a Spanish language school in San Jose, Costa Rica. She is there for four months. LaPaz, Bolivia, is her next stop where she will run a pharmacy in Clinica Americana. She uses many other skills: taking photos of surgeries, works in the office of the nursing school, plays the piano to accompany services at local churches. The high altiplano area near LaPaz gives her the opportunity to see how these people survive with the barest essentials. The women and children tended the sheep and spun the wool into cloth while the men plowed the rocky land with crude wooden plows driven by oxen or horses. Montero, in the jungle area, is where she spent her last year helping an Argentine doctor and two nurses working where there was no medical help for miles. They traveled in an old jeep with their supplies. Published by Christian Faith Publishing, Kit Rockey-Swain-Baldwin’s new book contains an invaluable account that reveals a woman’s exemplary passion for her duty in the medical field. An engaging and moving autobiography, this book truly relates to readers through its retelling of real-life scenarios experienced by a woman of great determination and resilience. View a synopsis of “Through Eyes of Love” on YouTube. Consumers can purchase “Through Eyes of Love” at traditional brick & mortar bookstores, or online at Amazon.com, Apple iTunes store, or Barnes and Noble. For additional information or inquiries about “Through Eyes of Love”, contact the Christian Faith Publishing media department at 866-554-0919.